One of the world’s biggest banks wants to boost profits by cutting out voice brokers acting as middlemen in the largest derivatives market. JPMorgan Chase & Co. (JPM.N) signed startup Wematch Interest Rates to its in-house fintech program, which helps new firms build products for use across the banking industry. New York-based JPMorgan and other dealers will eventually be able to use Wematch’s platform to negotiate trades in interest-rate markets. “It is exciting to see a small group of market experts have the chance to build a product that can significantly impact the bottom line of large banks,” Pasquale Cataldi, head of fixed-income execution services at JPMorgan, said in a statement. 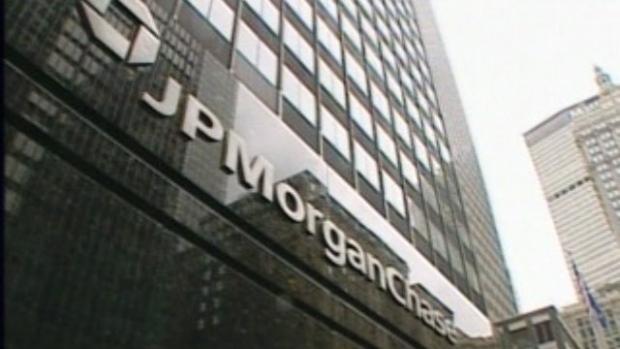 By signing up Wematch, JPMorgan becomes the latest bank racing to use automation to get an edge in trading. Wematch’s service is based on a subscription model and the technology has already been adopted by dealers in other market segments such as equity derivatives and securities financing. The technology could disrupt the business of firms such as BGC Partners Inc. and TP ICAP Plc, which play a significant role in brokering trades in currencies, fixed income and derivatives, while siphoning off fees for their efforts. Wematch Interest Rates is a unit of London Wematch.live Group. The market it’s looking to break into is huge: The market value of OTC interest-rate derivatives was US$7.6 trillion in the second half of 2017, according to the latest Bank for International Settlements data. JPMorgan’s fintech program also sometimes invests in the fledgling companies it backs.